From a secular, United States culture perspective, Christmas is a marketers dreamland. Beginning sometime in mid-October or early November, marketers begin their work to convince us what we “need” this holiday season. Our desire to be festive, drives us to ask the question, “What trinket, toy, bling, or do-dad really says ‘I love you’ most effectively?” Marketers representing virtually every product begin a targeted blitz to get the word out for their product. After two months of being worn down by the marketing machine, we all realize NEEDS, we never knew we had, so we go out to purchase the product. Most people have negative views of marketing because they have had a bad experience with it. Virtually all of us have bought (at some point) what marketers have been selling. Many times, we thought we were buying happiness, but instead we were just buying a bill of goods. In the end, it is amazing how few of the “needs” marketers sell that we actually have. The very first Christmas gift ever given was given by our Heavenly Father to mankind. The gift was the baby Jesus, born in Bethlehem. When God gave this gift to men and women, He also launched a “marketing campaign” to announce His arrival. Angels appeared in the sky to speak to “certain poor shepherds in fields where they lay,” advertising the birth of Jesus and telling them why it was Good News for them. About the same time that the Father sent His Angels to talk to the shepherds, He also placed a marquee in the sky, illuminating the way to the Savior for those in the East. This star would be a cosmic press release announcing His coming to a set of gift-bearing star gazers. On the night of Christ’s birth, God launched a media blitz to remind the people of their need and illustrate how Jesus was the One who could bring them joy. Now, because of our past experience with marketers, the language I used above might have made you furrow your brow. It seems rather crude and insincere to think of God’s announcements in this way. In some respects, I agree with you, and it certainly is not my intention to dumb down Advent as a result. However, I think it is important for us to think through the illustration provided above, because marketing a product that is actually necessary is not self-serving, but loving. Since the needs Christ addresses are not imagined but actual, and since Jesus provision delivers all it promises and does not disappoint . . . the marketing of the coming of Christ is a blessed thing! Can you imagine if someone came up with the cure for cancer but never told anyone about it? That would be crazy. You would want them to market that cure because its provision is so important and its need is so real. In the same way, the arrival of the Savior of the world is not a truth to keep quiet, but something that should be shouted from the mountaintops. 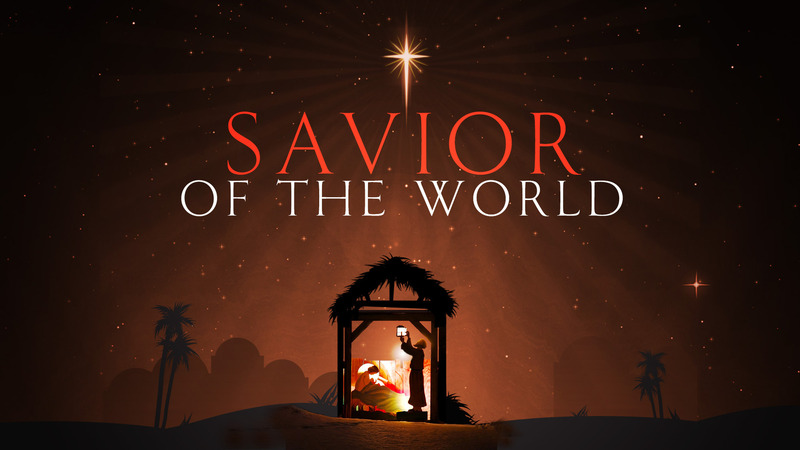 God did that through the media blitz on the night Christ was born. Think about that this year as you consider what God wants you to do with the good news that the baby in Bethlehem is the One who saves you from your sins. God does not want you to conceal that information . . . He wants you to be a part of His marketing campaign, spreading the good news to all who you interact with. He began this campaign on the first Christmas, and is continuing it through us today.